For years I was the king of big dreams and no progress. I loved pacing the living room, imagining what life would be like when my book was written, my business was thriving, and my bank account was bigger. Then I would get sucked back into my inbox, pour over the latest reviews on Rotten Tomatoes (everyone needs a weird hobby), or waste more time pacing the living room. …anything to make sure I was too “busy” to actually do any work. But after a recent change to the way I use to-do lists. I’m slowly becoming more assertive and procrastinating less. Before I tell you what the strategy is, let me quickly explain why it works, so you’ll be willing to give it a try. One cause of procrastination — a problem you can solve. One big culprit is a 4-letter word we hate to say out loud. In this post, I’m specifically talking about the fear of failure. The fear of taking responsibility for your goals and getting your hopes up…only to be disappointed. The fear of trying your best only to discover your skills weren’t ready for the challenge. If fear is keeping you from taking action on your goals, you need more than just positive self-talk to beat procrastination. You need evidence that proves you have what it takes to learn new skills, overcome setbacks, and get crap done. But where can you find this smoking gun evidence? Often, in the trash can. 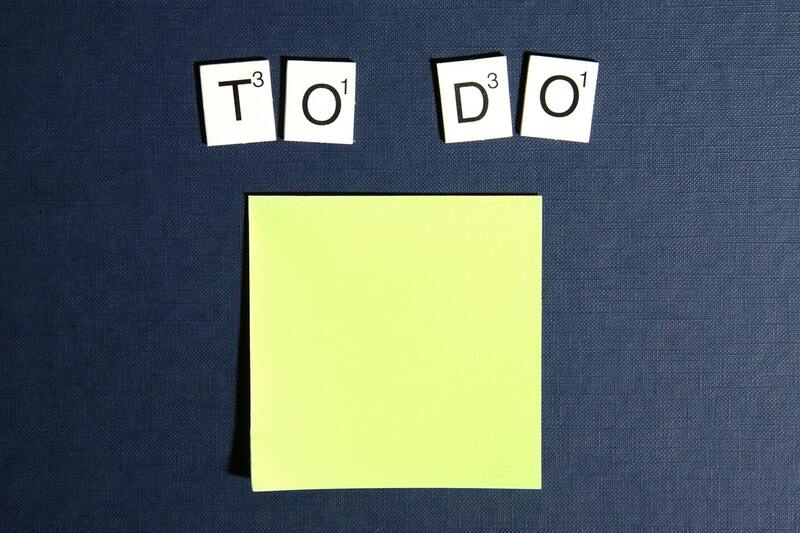 Why you should never throw away a to-do list. In his influential research, Psychologist Albert Bandura sought to understand how people develop confidence in their ability to accomplish tasks. He found the biggest driver to be “mastery experiences” — past achievements where you tried your best, overcame challenges, and ultimately succeeded. How can we rack up more of these experiences? What I’m learning is…we have them every day. We make lists of tasks we need to complete and plow through them one by one, but we rarely pause to recognize what we’ve accomplished once we’re through. The solution? Save your finished to-do lists. These messy pieces of paper tell a story. They’re diplomas of a hard day’s works; toasts to your ability, ingenuity, and perseverance; tiny paper trophy cases that memorialize the battles you’ve won; letters of recommendation that clearly state YOU have loads of potential. Why are you throwing them away? Maybe you’re married to one of those weird organized people, who can’t stand the thought of papers lying loose. 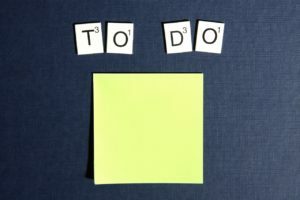 Instead of crossing off to-dos and throwing my lists in the trash, I’ve started copying my accomplishments over to a Done List on my computer, where I record the tasks I’ve completed. I’m amazed by how tall this list has already grown and how encouraged I feel every time I look at it. Has my fear vanished? Did I kiss procrastination goodbye forever? But I fully believe remembering my successes is slowly building my confidence and giving me the courage to be more assertive and productive. Whether you choose to create a “Done List” or to simply save your old to-do lists, stop throwing away the opportunity to gradually become more confident. You accomplish difficult tasks every day. Pause long enough to memorialize your wins. This strategy isn’t a miracle pill, but it’s a reasonable approach for overcoming fear and reducing procrastination — so you can achieve your goals faster. I love your down-to-earth approach, and your simple, no-frills delivery. Thanks once again for a clearly written post with advice that one can actually implement! You’re very welcome! Glad you found it helpful. I love your simple, no-frills delivery. Thanks once again for a clearly written and very down-to-earth post with advice that one can actually implement! You are using a computer – how about a composition book (the black and white covers). Use the opposite page (to the left) for the “done list”. Smart — great idea, Chuck! 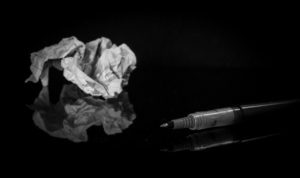 Hi Kyle, I see your point and I have to say that this is what I usually do,… but then my wife comes in and says “Darling, it is you or the lists you have been saving for the last 20 years,.. I need that space cleaned right now ;-)”,… Now, seriously, although I see the things that I have done, I still am frustrated for what I haven’t achieved, so this doesn’t help me in avoiding my degree on procastrination…. anyway, I’ll try your pov again. Thank you for your article!!!! It has make me think about this thing today!!! Hey Javier, thanks for sharing your story! 🙂 My wife is similar, which is why I’ve started saving my Done List on my computer (less paper). Thanks for your feedback on how this strategy has worked for you. I definitely don’t see it as a miracle pill, and I appreciate your perspective. I think past accomplishments are most effective at boosting confidence when future tasks are similar in nature. (In other words, becoming a good cook might not boost your confidence as a golfer.) What my Done List has shown me is when I sit down and get started, I can learn new things and figure out how to move forward. The confidence to get started is what I was often missing, and focusing on big picture skills (such as the ability to learn new things) helps me connect past accomplishments to present to-dos. I was reading one of those free e-books about procrastination. We all know many times the things we procrastinate over are the things we just don’t enjoy doing. As some have already said we’re masters of finding other things to do. Anyway the tip offered in this e-book was really great; albeit probably considered by most as tough love. Until that task is done you cannot do anything else (nothing! ), e.g., no reading a book, an article or the news or sports stories off the Internet, no listening to music, no working on less important tasks, etc. until you’ve completed that task you’ve been putting off.